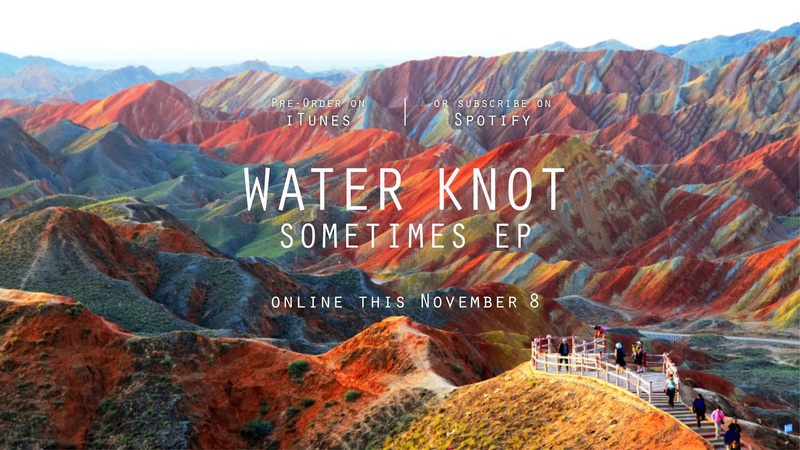 EP review: Water Knot, Sometimes – music waffle. Water Knot are a four piece band from Brooklyn, New York. And embarrassingly that is the sum total of my knowledge of them *blushes*. I discovered them via twitter earlier this year and have followed their progress with interest. It’s very hard from the other side of the pond to gauge how successful they are or what kind of buzz there is around them, especially if you’re not into Facebook or My Space in any way. However I suspect they are about to get some serious exposure, because their latest track “Lust” is being featured in the movie Homefront, starring Sylvester Stallone and Jason Statham. I’m tempted to use the word ‘base’ to describe this song and video. It’s about as direct as you can get on the subject matter lyrically and visually, and has an earthy grainy feel to the song. I’ll let you google that one at your leisure (preferably when there aren’t any small children nearby). The other four tracks on the EP are known and loved by me already. Big Brother, the band’s first offering, has the simplest of drum beats, and a guitar which almost heralds their arrival as a band. It was the first hint that this was a group who knew how to build a song. Revelations, with it’s arty lyric video, a full 6 minutes 20 long, has a Beatlesque initial vocal. No “sound bite single” here, I wish I knew more about the background of this song – dancing skeletons and stag antics – it’s got to mean something! Title track Sometimes has got a great chorus, and my personal favourite track is Ready. The video basically involves the boys getting gloriously mucky (I wouldn’t want to see the bath water at the end of this day’s filming!). The concept is pretty straightforward, with lyrics like “What’s a knife without a blade? What’s a letter that’s never been sent? What’s a rich man when he’s dead?” The song just builds and builds beautifully, and I have a soft spot for any guitarist who gets airborn! If you are a lover of big drums, big guitars and big keyboards (ie proper band music) then this is for you. 22 minutes, 5 top tracks, £2.49, whatever way you do the musical Maths, it works. Previous 10 Reasons to love: Foo Fighters, The Pretender.